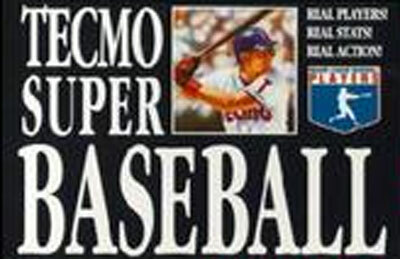 Tecmo Super Baseball is a professional baseball video game that was released in 1994 for the Super NES and Sega Mega Drive gaming systems. It features all 28 MLB teams that existed at the time. However, the only license the game has is the MLBPA license. This means that while the game does feature actual players, there are no team names or logos. The teams wear uniforms without logos and are only named by their city (the teams that share the cities of Chicago and New York are separated by having either an A or N after their name, denoting their league).